In addition to being unsightly, the damage can cause stress in a birch tree, thereby becoming a possible factor in weakening the tree and making it more susceptible to serious problems such as bronze birch borer. 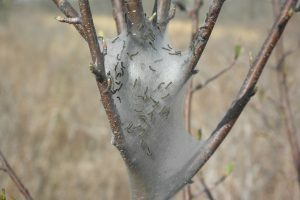 Prior to the introduction of the Cosmetic Pesticide Ban in Ontario, birch leafminer treatment included using products such as Lagon or Cygon, which were painted on the stem of the trees and absorbed into the leaf to kill the insect. Since the pesticide ban treatment options have been few and ineffective. 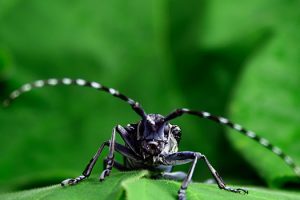 However, starting this year TreeAzin, a product from a Canadian based company called Bioforest and originally used to treat Emerald Ash Borer, is available to treat various insects including birch leafminer. TreeAzin has been given a Class 11 rating by the Ministry of the Environment, meaning it is a product that may be used to treat cosmetic as well as more serious plant pest problems. 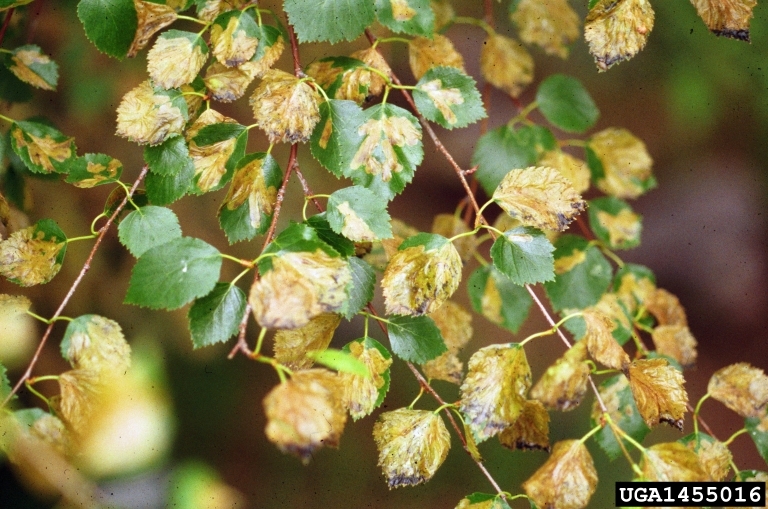 If you or someone you know has a birch tree with a leafminer issue, contact Ontree for a free treatment estimate. 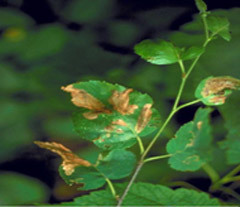 A foliar disease that causes loss of leaves, reduction in fruit yield, and inedible fruit. Common in most types of apple trees, especially common in crab apple trees. A caterpillar that defoliates trees. Large numbers of this insect occur at intervals of approximately 10 years. We’re in Ontario so I’m not sure what’s used in Alberta, but the products that we use to treat this problem are Tree-Azin and Orthene. If you call a tree service company near you see if they use these products. Hope this helps and thanks for the question.